These flea-sized drones would swim through patients' blood vessels to deliver life-saving medication. 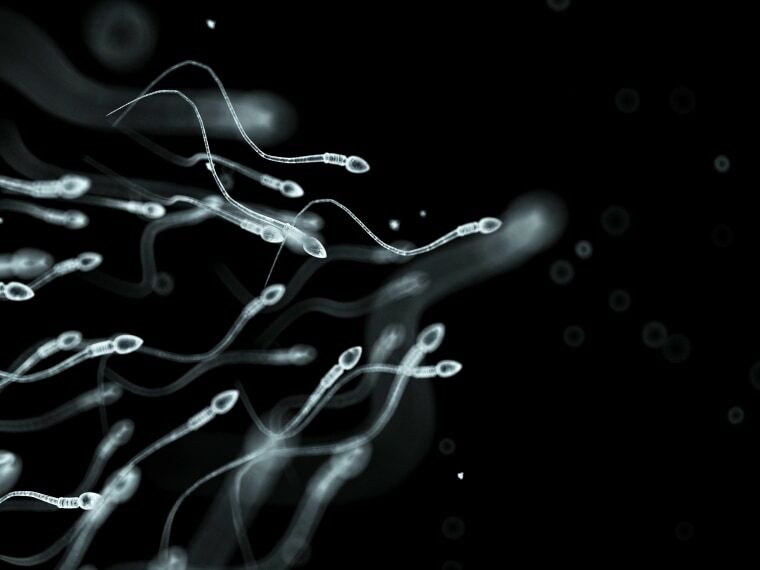 Scientists in the United Kingdom have turned to the humble human sperm in their quest to design the ultimate swimming robot. Made of a tiny magnetic head and squiggly elastic tail, the flea-size drones look and swim much like their spermy counterparts, with a few big differences: These swimmers are guided by shifting electromagnetic currents, controlled externally by scientists. Oh, and also: They won't get you pregnant. According to Feodor Ogrin, a lecturer at the University of Exeter in England and co-author of a new study published Sept. 4 describing the swimmers in the journal Physics of Fluids, robo-sperm like these could provide a cheap, efficient template for drug-delivery systems in human patients. "The swimmers could one day be used to direct drugs to the right areas of the body by swimming through blood vessels," Ogrin said in a statement. "Developing this technology could radically change the way we do medicine." The idea of designing sperm-inspired robot swimmers has been tested in several previous studies, but Ogrin and colleagues believe they've hit on an inexpensive design (the tails can be made with simple, 3D-printed molds) and the perfect head-to-tail ratio. In their new study, the team of Exeter scientists built several swimmer prototypes with tails ranging from 0.04 inch to 0.5 inch (1 to 12 millimeters) long. The team set these swimmers loose in fluids of varying viscosities, then coaxed them forward with electromagnetic currents of varying intensities. Just as a sperm cell whips and undulates its tail (or "flagellum") to propel itself forward, these magnetic swimmers followed the path of the current with tails whipping behind them. Ultimately, the researchers found that swimmers with 0.15-inch-long (4 mm) tails moved quickest and with the best control. That's great news for tiny, sperm-inspired robot enthusiasts everywhere. The next step, the researchers wrote, will be going even smaller. While a 0.15-inch-long (4 mm) robot could swim comfortably through an adult's aorta (a blood vessel with a diameter of about 1 inch, or 25 mm), according to "The Oxford Companion to The Body," many human capillaries are only about 8 micrometers wide — about 3,000 times smaller than the aorta and 500 times smaller than the current swimming spermbots. With an average length of 50 micrometers, it seems the humble human sperm cell still has a lot to teach us. This killer robot could help save the Great Barrier Reef. Here's how.